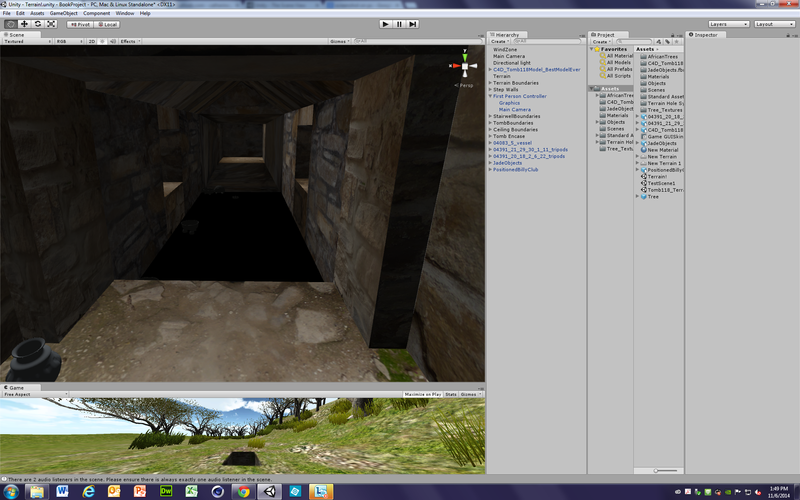 Catherine was able to start on working with Unity–a game engine–in the summer of 2014 to make the tomb we had created in Cinema 4D interactive. Time ran out for the team over the summer to explore different avatars and we needed a more powerful computer to put more items we made into the tomb. However, the current area around the tomb was able to be recreated and the project will continue on from here either with someone on the original team or new one. A comparison of the entrance real tomb (right) and tomb recreated and put into Unity (left). 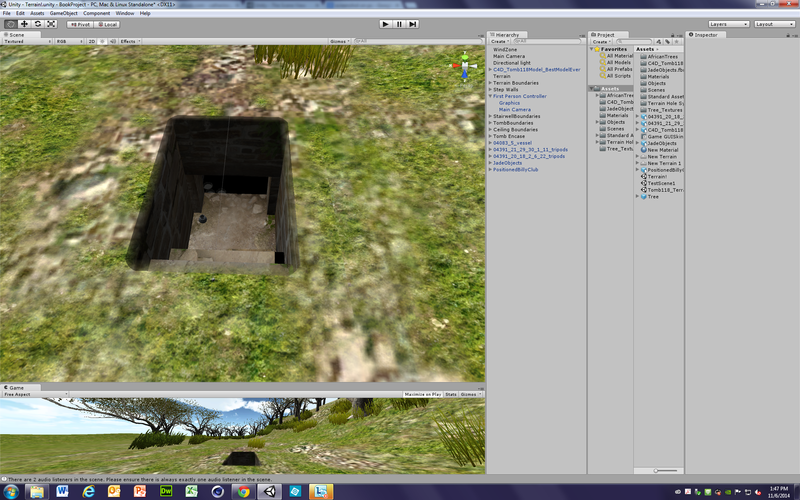 The bottom of the screenshot showing the Unity model also displays the recreated present-day surrounding area near the tomb. This will appear at the bottom of every screenshot photo in this post. These pictures shows a comparison between our photo of the inside of the tomb (left) and the 3D model recreation (right). In the bottom right corner of the inside of the tomb in the 3D model, one of the objects can be seen placed in the tomb. Object positions are based on where they were found when Alfonso Caso lead the excavation for the tomb. 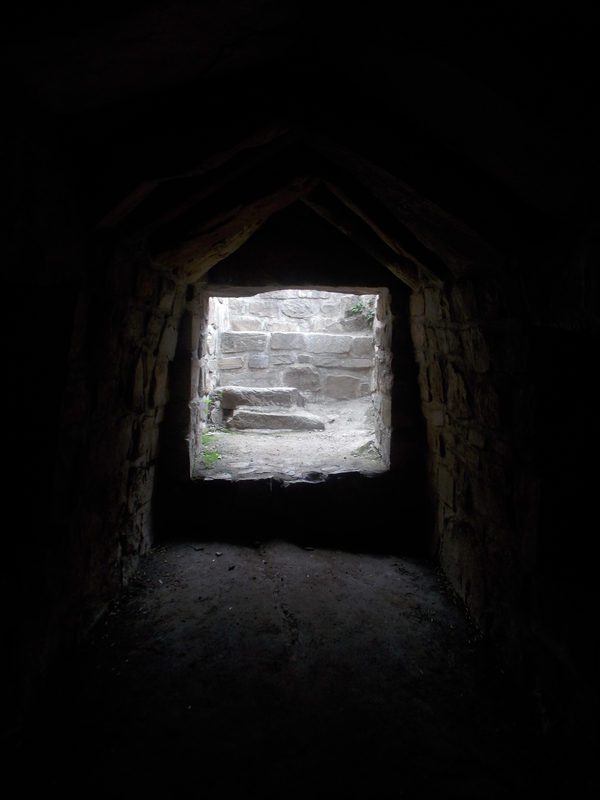 The picture on the left shows a photograph the stairs and the entrance. 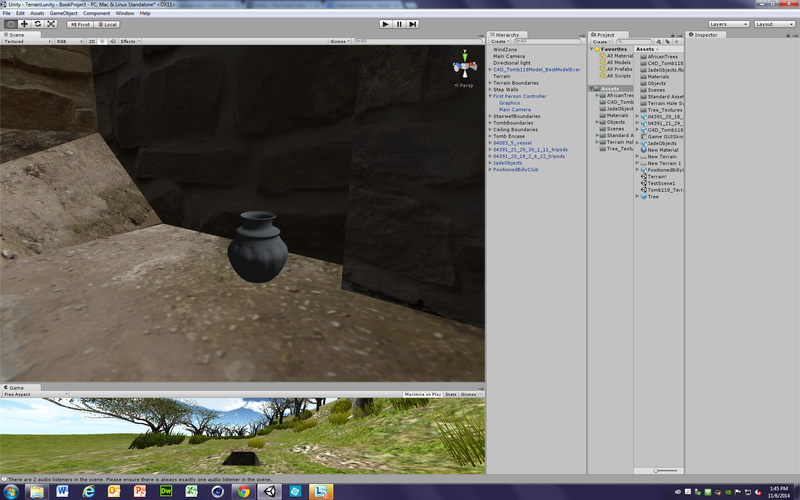 The object from the previous picture from a different angle in the Unity program is on the right. The object is at the bottom of the stairs, just outside the tomb entrance. 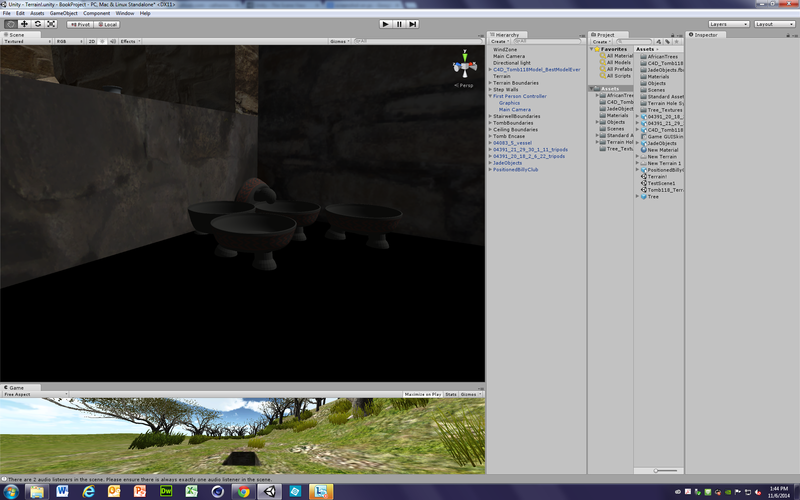 This last screenshot shows objects put into the tomb in Unity at the furthest niche. They objects shown are tripods found in the tomb during Caso’s excavation. 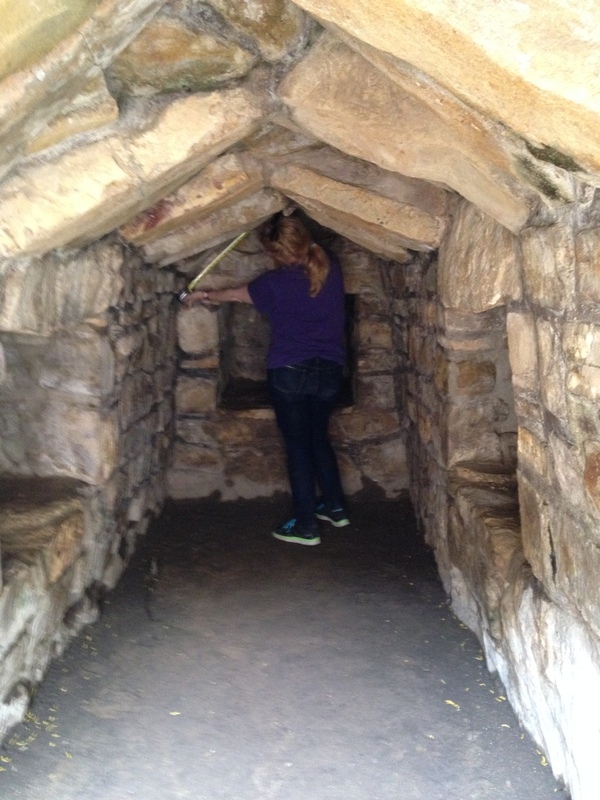 There is also a vessel peeking out from inside the niche at the top of the picture. By vmiller15 in Uncategorized on January 7, 2015 .